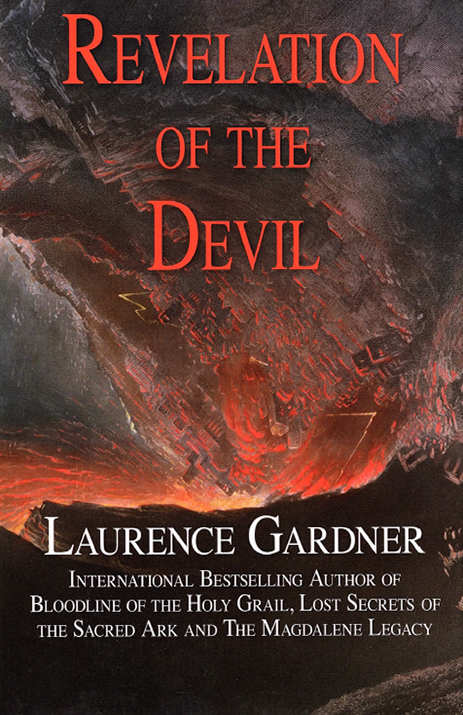 Laurence Gardner's range of highly acclaimed and ambitious books based on wide reading and a deep knowledge of a range of subjects culminated in this, his final book, the accompanying book to The Origin of God, written shortly before his death in 2010. It is an irrefutable and searing indictment of conventional belief, which exposes the evils and absurdities perpetuated over the millenia in the name of Christianity. Revelation of the Devil traces the history of the Devil from its roots in Mesopotamia and the Old Testament all the way up to the modern world of today. Travelling through the New Testament, the Koran, the Inquisitions, the Reformation and the Enlightenment it unmasks "the myth of evil and the conspiracy of Satan". 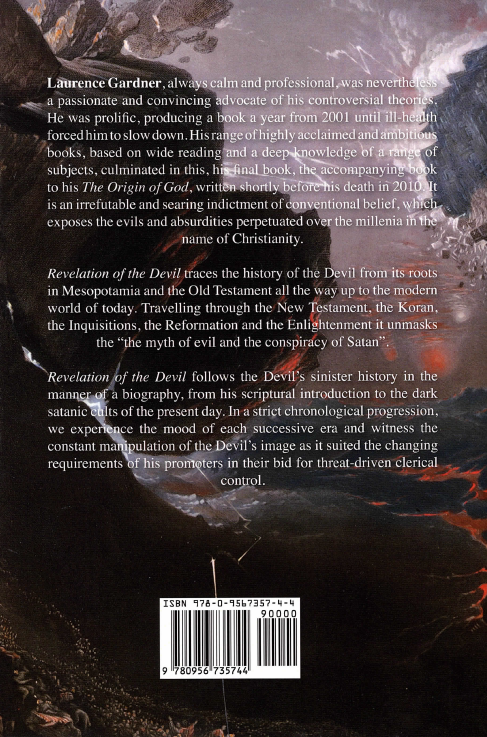 In the manner of a biography, Revelation of the Devil follows the Devil's sinister history from his scriptural introduction to the dark satanic cults of the present day. In a strict chronological progression we experience the mood of each successive era and witness the constant manipulation of the Devil's image as it suited the changing requirements of his promoters in their bid for threat-driven clerical control. For nearly 2,000 years a supernatural entity known as the Devil has been held responsible by Church authorities for bringing sin and wickedness into the world. Throughout this period, the Devil has been portrayed as a constant protagonist of evil, although his origin remains a mystery and his personality has undergone many interpretive changes. Revelation of the Devil seeks to examine this process of figurative development in detail, following the Devil's sinister history in the manner of a biography, from his scriptural introduction to the dark satanic cults of the present day. From a perspective of mainstream reasoning, it is difficult to comprehend the nature of such superstitious thought in today's world. But, whilst a widespread belief in God persists, it is but a short step to accepting the Devil as the personification of evil. If God is all good and all powerful, then why does evil exist and how can it exist? If God created everything, then where did the Devil come from? If the Devil exists, then why does he not feature in any pre-Christian document? Who or what were the devils? Were they an invented product of Christian theology, or was their origin in the demonology of earlier times?